What a lovely treat to get at my doorstep! 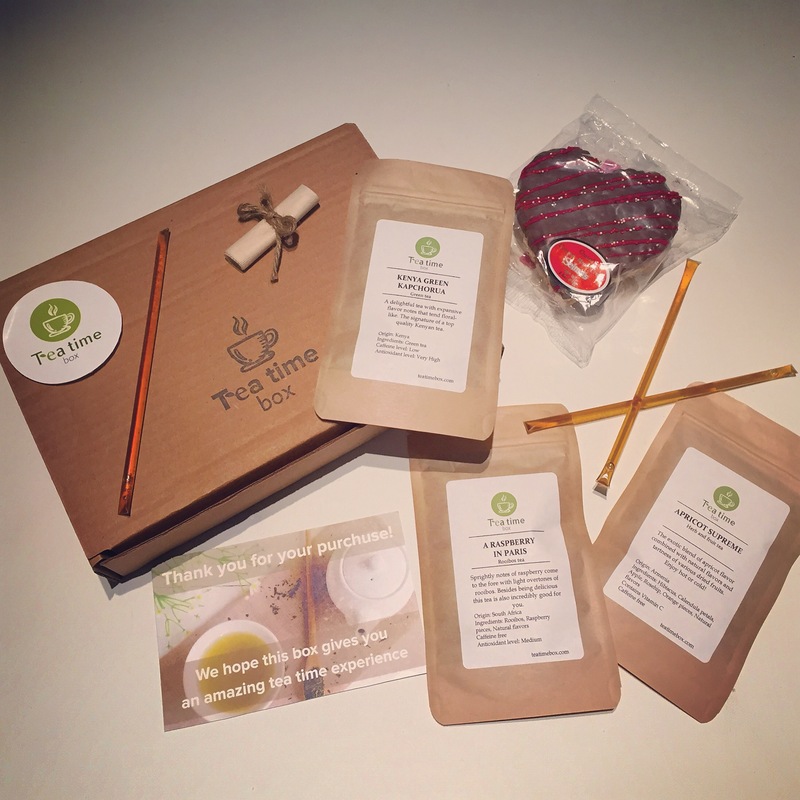 Time to spoil myself with this adorable Tea Time Box. This is a new company in Seattle sending you 3 different teas curated and chosen by their tea specialists. Always great quality specialty loose leaf teas. Something lovely is that for each box bought they will donate a meal to the local food bank. Gotta love a company that gives back! A Raspberry in Paris – A lovely Rooibos tea from South Africa full of raspberry notes. Apricot Supreme – This one is so yummy and full of big chunks of fruit! This one warms my tummy. Kenya Green Kapchorua – mmm what a lovely green tea!